in tackling relevant critical issues. Embark on a journey of self-discovery and personal transformation through various workshops and activities which are both experiential and thought provoking. Enhance your leadership skills, learn and apply the framework of moral and innovative leadership. Take part in a gathering of youths across the nation in the celebration of unity in diversity. 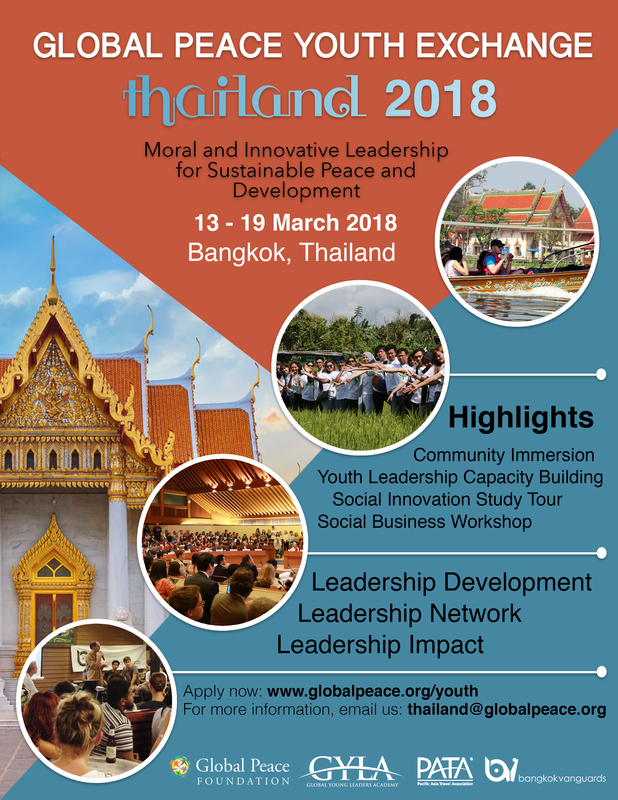 Global Peace Youth Exchange is an international leadership program that empowers aspiring youths across the globe to be the change they wish to see in the world. The program has engaged youths from over 70 countries since 2011.